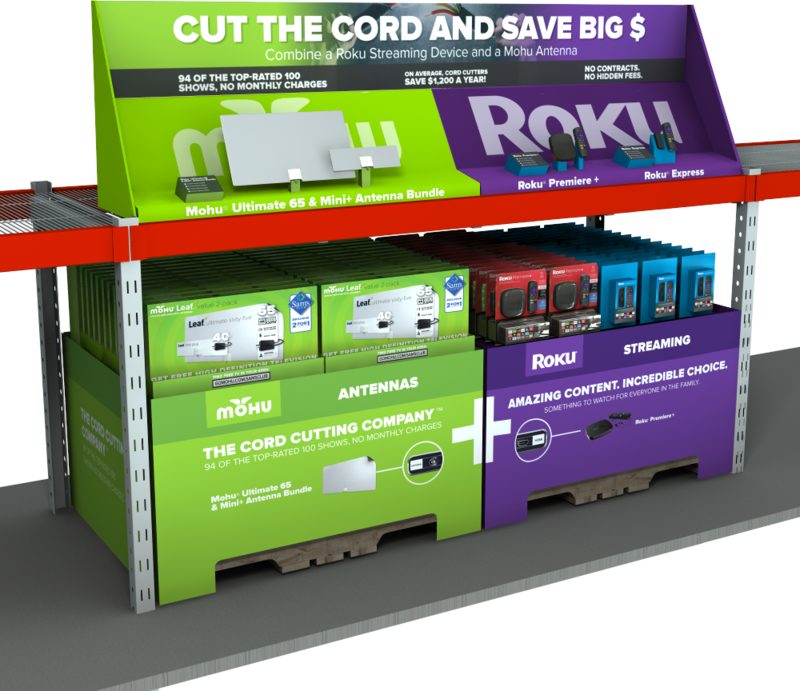 This is an in-store point of purchase display project between Mohu and Roku to sell cord cutting and the accompanying products to consumers. Soon to be nationwide, the display designed in conjunction with the Roku marketing department will be a tactile, educational experience. It utilizes the naturally bright brand colors of both companies, blending in the middle with both a photograph on the header and a plus-sign on the skirts. The display conforms with the rigorous standards of the warehouse store and makes shopping and restocking efficient and as inexpensive as possible.